When we travel, we prefer the little restaurants and bars that are packed with locals. 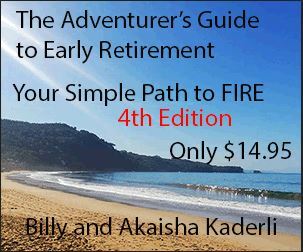 There is a certain flavor of authenticity that permeates these places that is unlike tourist stops. 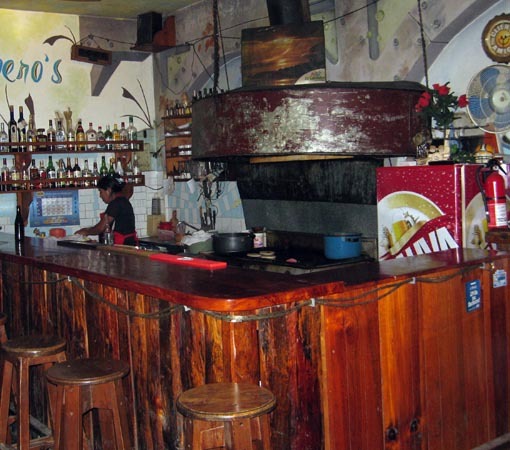 Chero's Bar and Restaurant in Panajachel, Guatemala is one of these places. 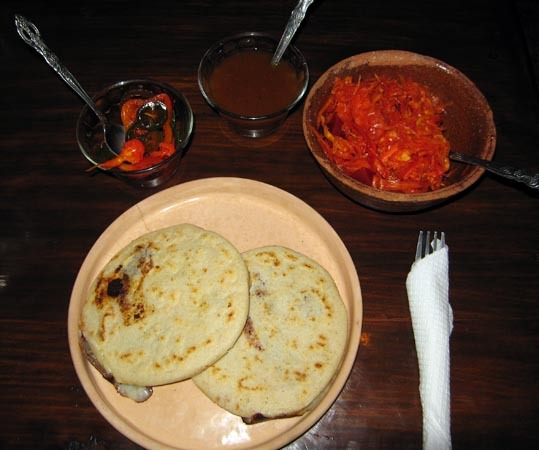 Pupusas are a native El Salvadorian food, and the owner, Ricardo, is from El Salvador. 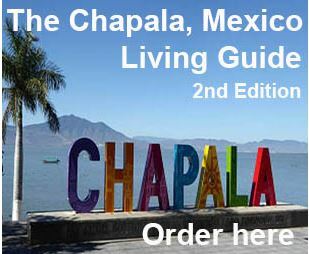 It's the only place in town that serves the typical food from this Central American country. 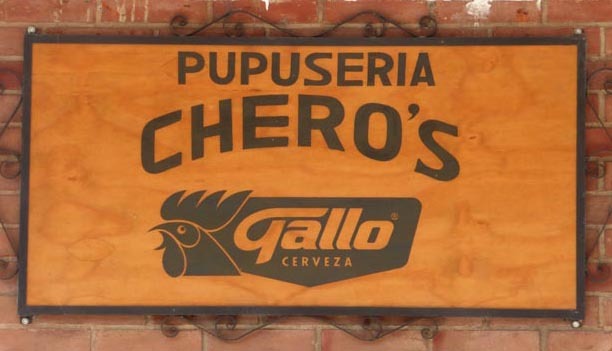 Gallo, on the other hand, is a favored Guatemalan beer. 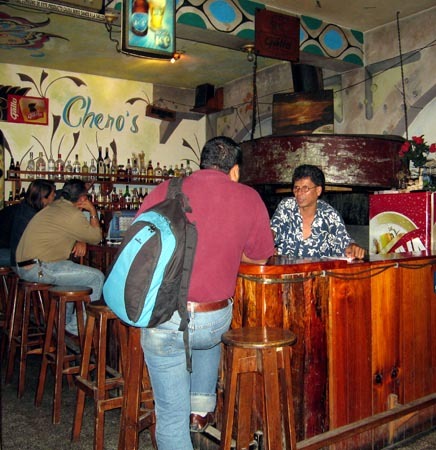 Not a big place, more like cozy, Chero's is busy most nights. Here you see the bar and the flat top grill where the pupusas are made. What's a pupusa? It's a stuffed tortilla grilled on a grill. The stuffings can range from garlic cheese, red beans, shredded pork, pork and cheese, spinach or any combination of these ingredients. Condiments include pickled cabbage, hot sauce and pickled jalapeno vegetables. 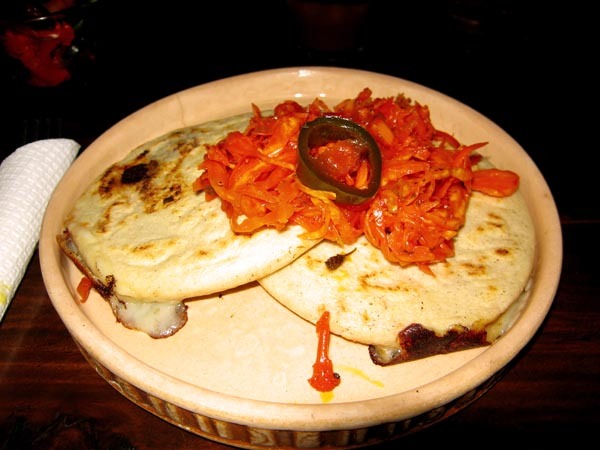 With the stuffings and condiments, two pupusas are plenty for a meal. One pupusa costs 10 Quetzales each (about $1.25USD). 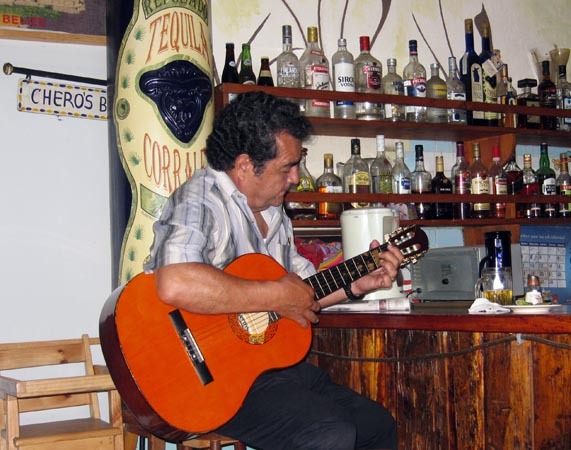 On occasion, there will be live music which adds to the enjoyment of eating and drinking at Chero's. This man had visited the States many times and his English was quite good. He came over to our table specifically to let us know how much he loved the U.S., and of course, we love hearing that! We decided, hands down, that Ernest Hemingway would sit and enjoy a drink in this establishment. Friendly, with local flavor and unpretentious atmosphere, we could practically see him at the next table. Gallo, Cabro and Moza beer served in 16Q & 26Q sizes. Micheladas and a full bar available. 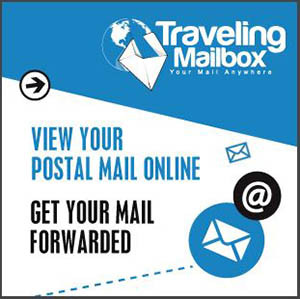 Open Tuesday through Sunday, 5pm until late in the evening. Closed Monday.